Any quick thoughts on the 20v vs the 24v? 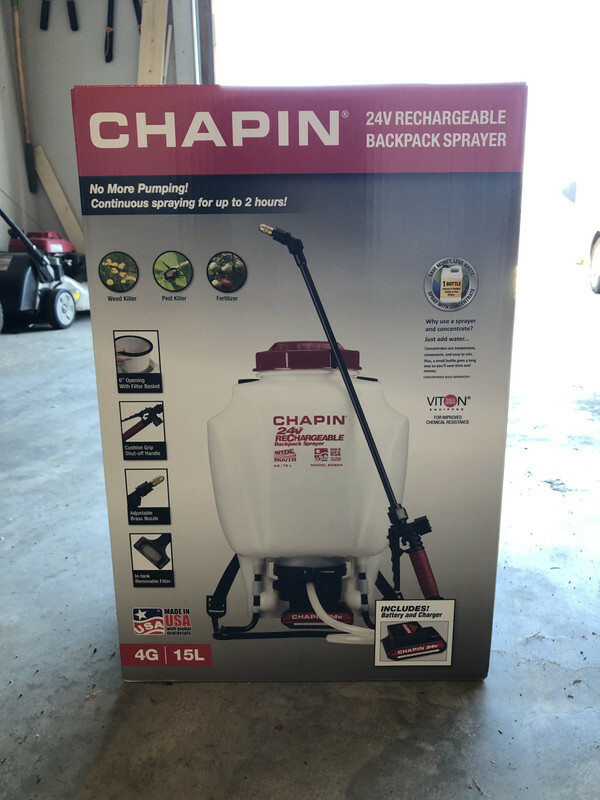 About to add this to my arsenal for when I dont need to hook up the tow-behind sprayer. Thinking about the 24v as it seems to be more readily available on Amazon for $159. None of my local stores seem to have either of them in stock. Based on @g-man above, I think I'll go with the 24v. Availability is why I went for the 24V. It seems as though the 20V has been discontinued or is otherwise restricted in availability. I originally wanted the 20V because I already have some Craftsman 20V (same battery as the B&D 20V) that go with a drill and attachment set, but it’s not going to matter too much in the end. Going to be happy with the 24V, I hope. I ended up buying through Walmart instead of Amazon. Before I bust out the wrench, is this where the screen is in the wand? I'd like to add a pressure gauge to my grip. Does anyone know which Chapin gauge is the right part? Yes and no wrench really needed. Hand tight is fine. I normally back flush it in the spigot to clear anything out. The Chapin 6-8175 Shut-off Assembly w/Gauge would tell you what your operating pressure is - it looks like it would be a direct swap. They sell just the gauge too, but the whole assembly is only ~$1 more. It arrived! Excited to get this calibrated this weekend! Looking forward to much easier spraying this season. I have the same unit and have been happy. Keep you batteries charged all season and put a little Vaseline on the rubber seal on top of the strainer basket and life will be good. Is the Vaseline to keep the rubber seal from drying out and cracking? Yes it is. Mine leeked a tiny bit last year and this is what Chapin recommenced. 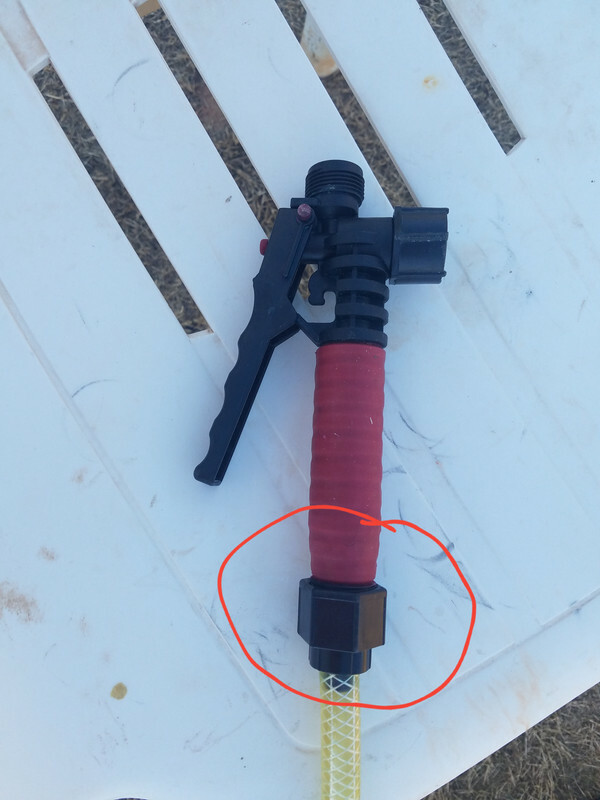 Hey all, what’s the “go to” aftermarket nozzle to slap on this bad boy to create a wider stream when applying pesticides, etc? Thanks. XR11004-VS is good for foliar apps. AIXR11004-VP provides larger droplets, which is great for soil applied apps like pre-e or when drift is a concern. TT11004-VP sort of splits the difference between XR and AIXR nozzles with regard to droplet size. I put 2 gallons of water into it and sprayed it over my driveway (measured 1,000sqft) a couple of times, measuring between sprays to verify the amount being sprayed. It worked out to 1 gallon/K, as expected. I’m using the Tee-Jet XR11004 tip.